The AZURA pump P 6.1L uses technology to overcome the challenges of pumping LC solvents at high pressure and high flow rates. This pump is designed to fulfill the needs for high pressure and low pressure mixing tasks. The pump can deliver flow in the range of 0.001 – 10 mL/min at pressures up to 700 bar. The AZURA Binary Pump contains two identical high pressure pumps (700 bar), 2 × 2-channel inlet solvent selection valve and the new developed AZURA mixer, a low-volume mixing device. < 2 % amplitude (typically < 1.3 %) or < 0.3 MPa (3 bar), whatever is greater, at 1 mL/min ethanol, at all pressures > 1 MPa (10 bar, 147 psi). The AZURA pump P 6.1L uses technology to overcome the challenges of pumping LC solvents at high pressure and high flow rates. This pump is designed to fulfill the needs for low pressure mixing tasks. The pump can deliver flow in the range of 0.001 – 10 mL/min at pressures up to 700 bar. The AZURA quaternary pump contains one high pressure pump (700 bar) and an integrated LPG mixing block with a 4 × 2-channel inlet solvent selection valve and the new developed AZURA mixer, a low-volume mixing device. AZURA P 2.1S pump was developed for eluent delivery up to 400 bar and for flow rates up to 10 ml/min in HPLC and other applications where a compact easy-to-integrate pump is required. 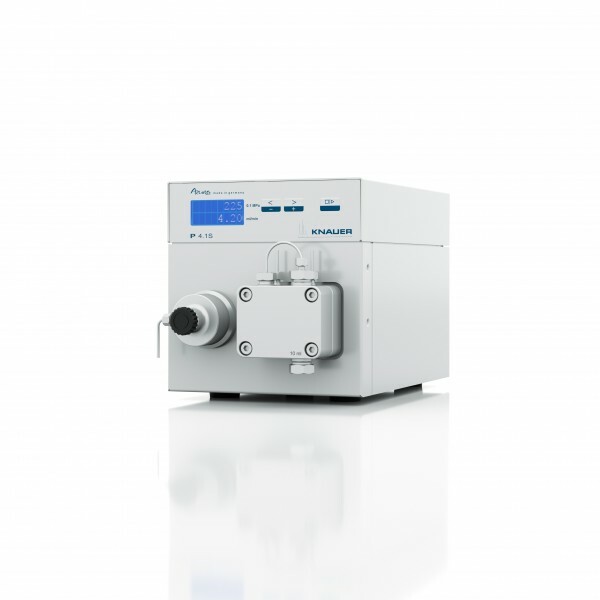 AZURA P 4.1S pump was developed for eluent delivery up to 400 bar and for flow rates up to 10 ml/min in HPLC and other applications where a compact easy-to-integrate pump is required. 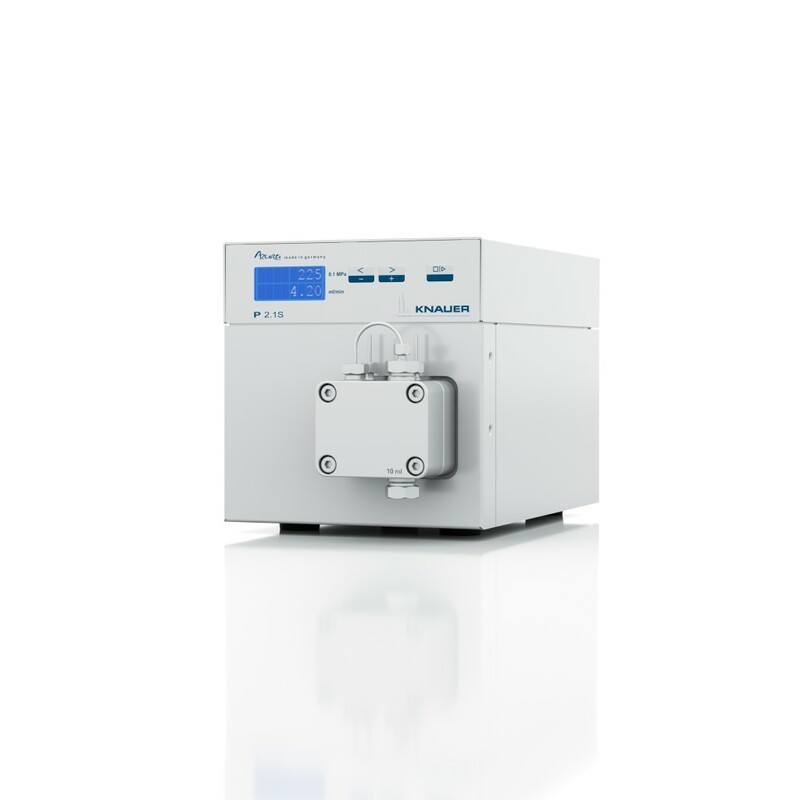 This pump has a complete metal free design for biocompatible applications or ion chromatography. The pump can deliver flow in the range of 0.001 – 10 mL/min at pressures up to 400 bar. 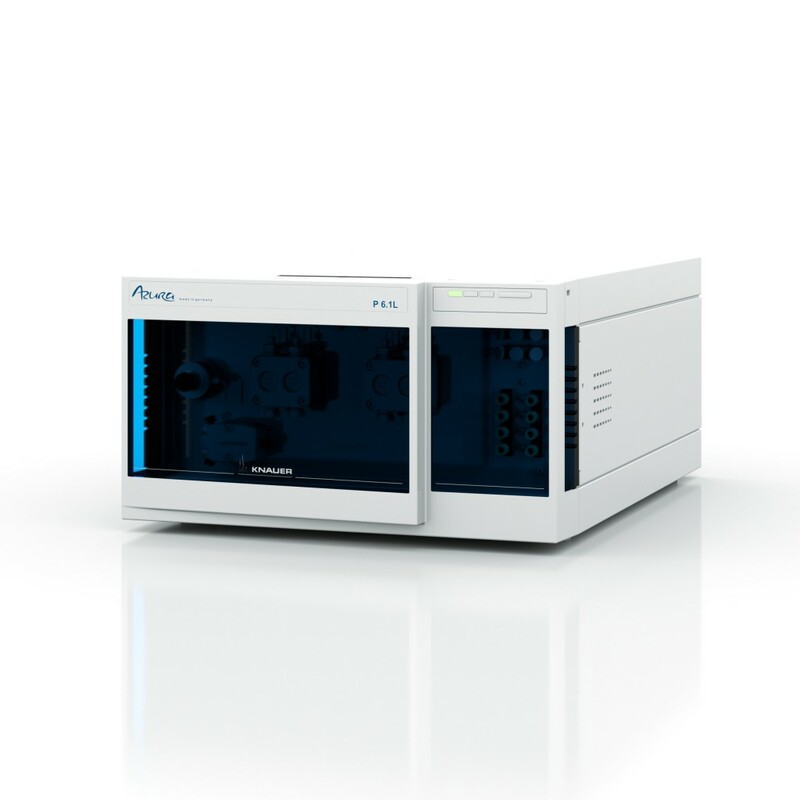 The AZURA Binary Pump contains two identical high pressure pumps (400 bar), a 2 × 2-channel inlet solvent selection valve and the new developed AZURA mixer, a low-volume mixing device.